We already featured Srdjan Stanojev, when he was announced as a TDEU Hero, however we never really sat down and shared his football story. 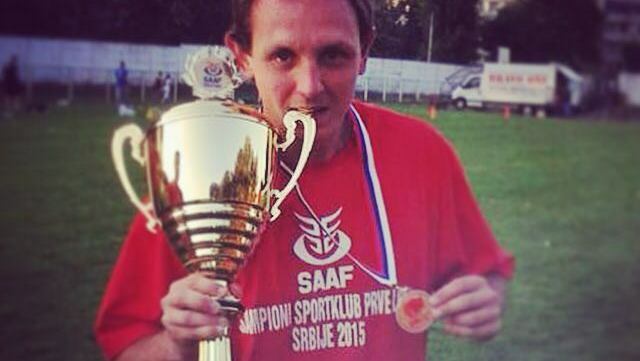 From kicking the ball to becoming a coach/GM, Stanojev has proven that one can do it all in football, with a good dose of determination and love for the sport. - Kickers are not often taken seriously, especially in Europe. What were some of the things you'd do to get yourself better at your position? To be honest, as a kicker, team will never take you seriously. I could not live with that fact. I was trying to prove myself to the team, that I can be an athlete like everybody else. As I transfered from European football /soccer/, although it seemed as there is no difference, I needed to work a lot on my kicking game. The hardest thing for me was that I didn't have a kicking coach and my only learning options were YouTube and some kicking sites. Practicing three times per week with the team was not enough for me, so I'd usually go to a field that is close to my place and kick for 1-2h (don't try to over-kick it, it may hurt your leg). - What piece of advice would you give to kickers in Europe? - Not everyone can transfer from being a player to becoming a coach. What do you think are the things to make this transition a successful one? After career ending injury it was hard for me to deal with the fact that I will not play football anymore. As I was a football fanatic, the only option to continue with football was to transfer to a coach position. Coaching job was not something completely new to me, as I was helping earlier with coaching of the junior team. The most important thing is that you really need to love the game and to live it every day, no matter where you go. I was lucky to be coached by a few American coaches in the last 3 season of my career, so I managed to learn a lot from them. Besides that, I read a lot of different stuff online, but my advice is to not take that for granted. If you read something and it sounds legit, remember it and try it at practice. If it does not go well, just forget it and move forward. - What are some of the most common mistakes players transferring to coaches make (and/or how to avoid them)? The most common mistake is that coaches (ex players) usually compare themselves to players they coach. They think they can do it better, or when they were playing they were doing some things better. NO! You can't do it better, because if you could, you would be on the field. So, my advice is to use every second to make your players better and stop comparing and think how you could maybe make a play. - Becoming a GM. 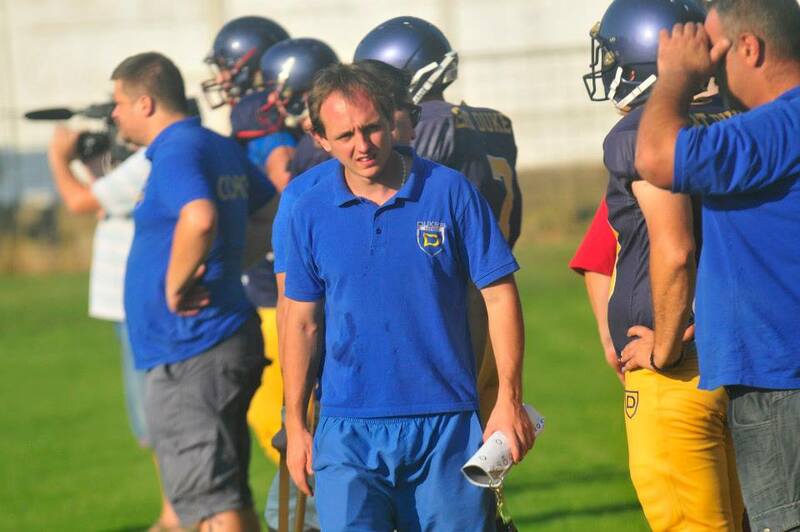 At one point of your football career, you have transferred back to Novi Sad GAT Dukes from Belgrade SBB Vukovi to take on a GM position. What are some of the main issues you as a GM had to face and how did you overcome them? During my time with Vukovi, GAT Dukes got stronger and with one really big sponsor they were candidates for the championship title, but somehow in two seasons prior to me arriving, they did not succeed to accomplish that. I recognized that as a big challenge for me, to come back to my hometown and to try to win the championship title for the first time in teams history, with team that I started my football career. - Scouting. What are the key notes when scouting for a player and a coach? How to see the red flags in advance? And, how to be sure the person you're looking into is the person you definitely want to sign to your team? Scout, Talk, Scout, Talk, Scout, TALK TALK TALK TALK. It is not always as good as it looks on film. Even if it's good as it looks on film, maybe that player will still not be a great fit for your team. When you think you found the right guy, based on film you watched, you start investigating about his past. Besides talking to him, try talking to his ex-coaches, ex-team or even ex-teammates, whoever can give you any feedback, it will be good in your final decision. - What should the teams do to make their imports feel welcomed? People will probably say that is mistake, but I personally like to treat imports like friends. They are not professional players and in most cases, they are not just here to take your money, play the game and go back home. They are here to live life like all other athletes on your team, the "only" difference is that their home is cca 5000 miles away. Do small things to make them happy. Invite them to your place on lunch, drive them around to show them the city, or, if you can, take them to a trip around your country.